The state of maximum crew and systems readiness aboard starships. Plays on table. 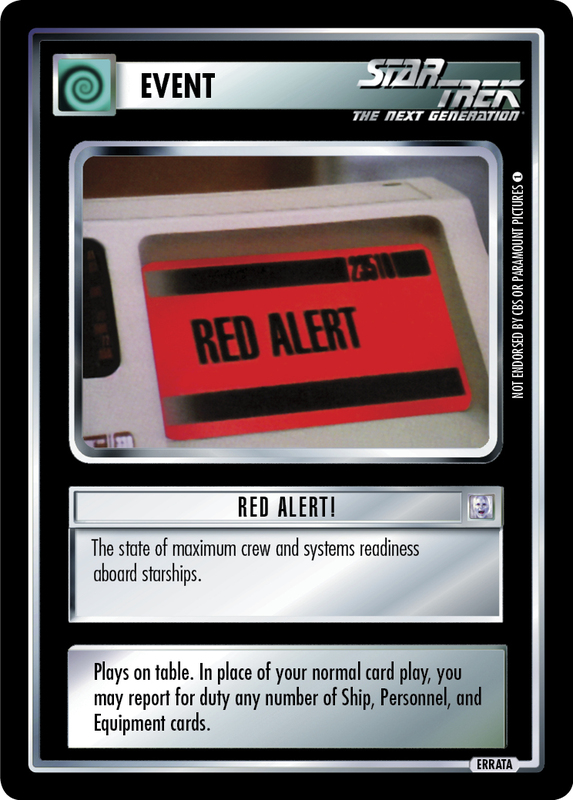 In place of your normal card play, you may report for duty any number of Ship, Personnel, and Equipment cards.